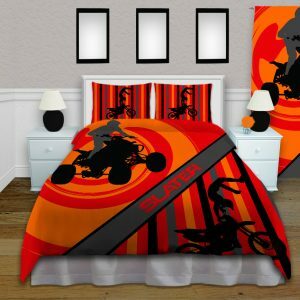 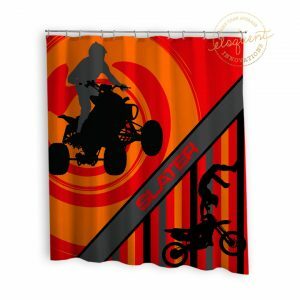 Dirt Bike & ATV Orange Background Window Curtains for Kids Room. 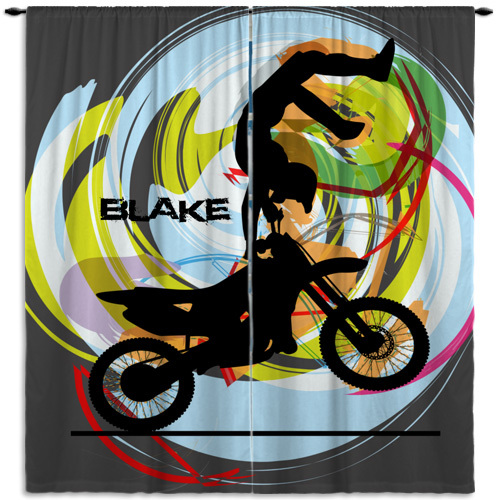 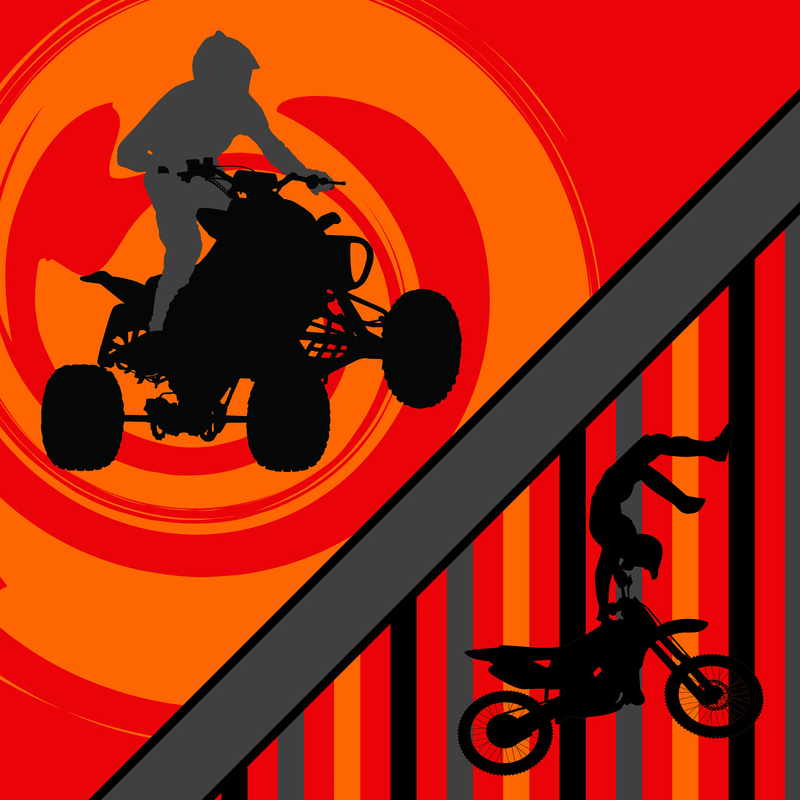 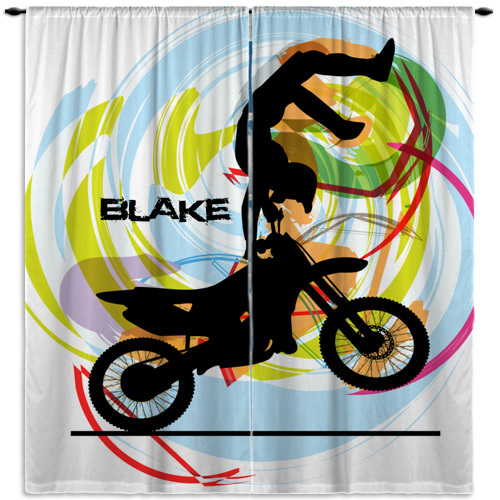 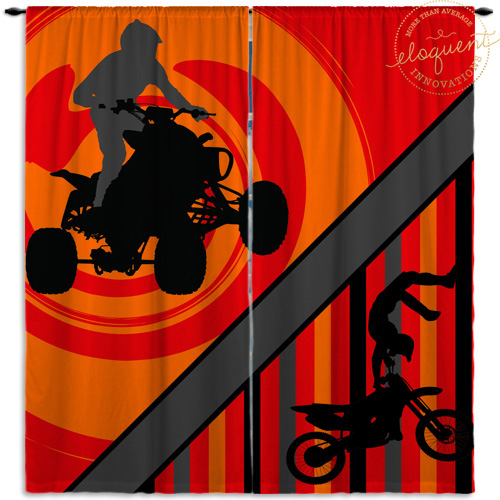 These Motocross and ATV Window Curtains features an orange background with stripes on the bottom portion. 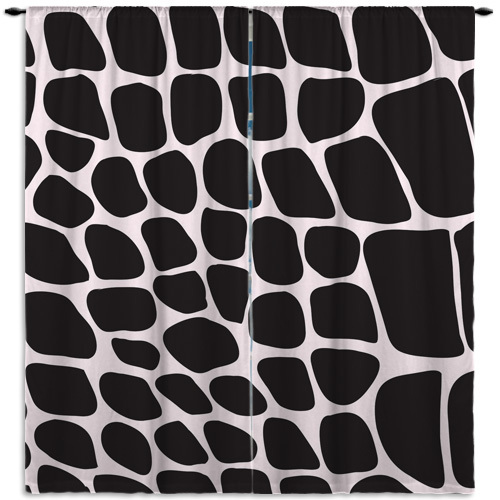 You can personalize this window curtain with your child’s or teens name on the gray diagonal strips in the middle. 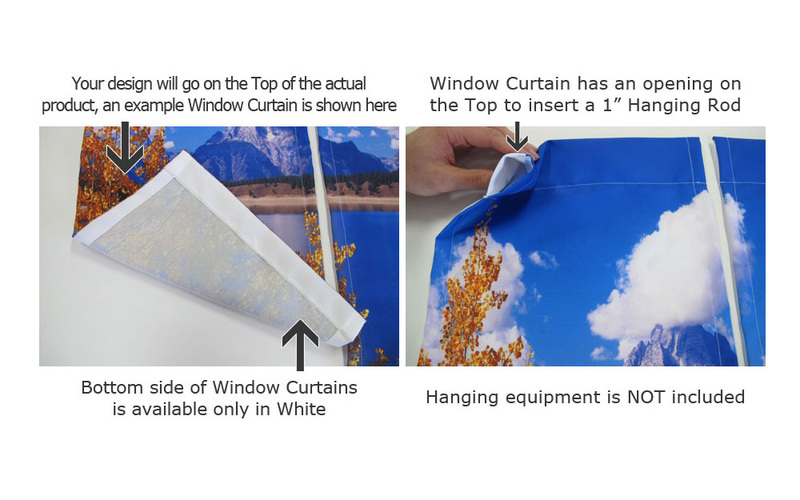 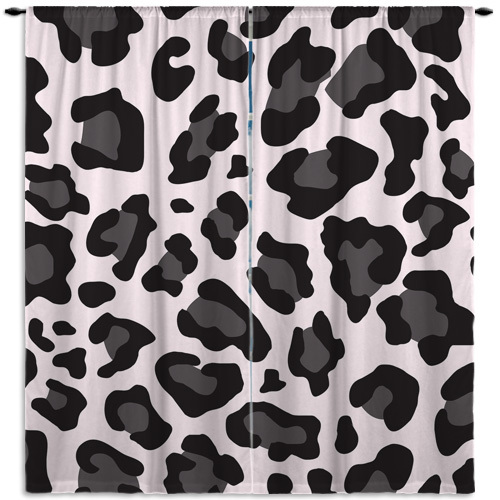 This window curtain will make a great gift for any occasion.